09/06/15. Shaqlawa, Iraq. 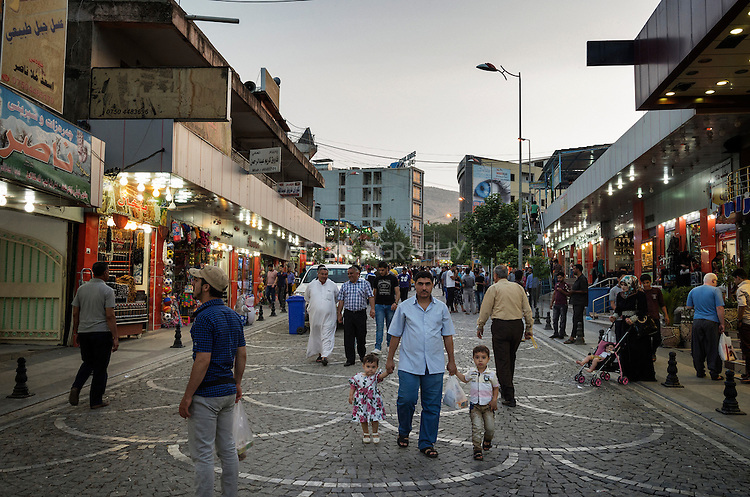 -- The main street of Shaqlawa's centre, with shops, restaurants and cafes. Shaqlawa is a famous touristic destination attracting tourists from the whole of Iraq before the beginning of the crisis. Today it is home to more than 40.000 IDPs.